The Saint Paul Almanac is pleased to announce the fifth in its 2013–2014 season of acclaimed Lowertown Reading Jams, which celebrate the rich literary history of Minnesota’s capital city and the widely popular genre of spoken word. The “CAN YOU HAND(LE) IT?” Lowertown Reading Jam will be presented on Wednesday, February 26, 2014, from 7:30 to 8:30 p.m. at the Black Dog Coffee and Wine Bar, 308 Prince Street in Saint Paul. All ages, no cover, donations welcome. Food and beverages for sale. RSVP on Facebook. The word “hand” has an extensive array of meaning, both literally and figuratively. Without bounds, we use spoken word to play with the endless allusions that the word “hand” has in the English language, as well as its roles in our lives. For example, the use of our hands can be used to create, mold, and shape matter into universes; at the same time the hand can be used as an instrument for mass destruction. I guess anything is possible when all hands are on deck! CHAY DOUANGPHOUXAY is an avid artist/activist from Minneapolis, Minnesota. She uses her art to educate and inspire others to advocate and create change in their communities. She has been featured in a variety of publications, radio talk shows, and television stations such as the Asian American Press, Twin Cities Daily Planet, MPR, KFAI, AM950, Good Morning Minnesota, and SPNN, to name a few. Her first solo chapbook, Remission: Finding Light in the Midst of Social Darkness, was released as part of the 2012 Legacy Fellowship Grant and has been widely utilized as an educational tool on issues of class, gender, and race. In October 2013, her second book, Tawan: The Sun Girl, was published as part of the Reading Together Project, a collaborative work between the Minnesota Humanities Center and the Council on Asian Pacific Minnesotans to address the lack of books that speak to the experience of being an Asian Pacific Island (API) youth in the United States. The project supports the development of English literacy skills while recognizing cultural heritage and creating opportunities for children and families to learn about API cultural heritage together. In addition, Chay is the co-founder and co-chair of the Twin Cities chapter of the National Asian Pacific American Women’s Forum (NAPAWF), a national organization working to forge a grassroots progressive movement to advance social justice and human rights for Asian-Pacific Islander (API) women and girls. She also serves on the board of the Southeast Asian Resource Action Center (SEARAC) based in Washington, DC. DONTE COLLINS is a Chicago-born Slam/Performance poet and author. Known for his spoken word poetry, Collins is a Minnesota spoken word finalist and the co-founder and co-director of No Projection, a group of four brothers aiming to use spoken word as an inspirational tool. He began performing poetry at his elementary school St. Peter Claver at the age of thirteen. Winning the school’s first talent show in 2009, he became a junior coach and judge for future events. Moving on to high school, Collins continued performing and brought spoken word poetry with him. He then went on to facilitate a spoken word team, with the help of his older brother Lamar Collins, also a member of No Projection, winning first place in the Say Word competition in 2012. 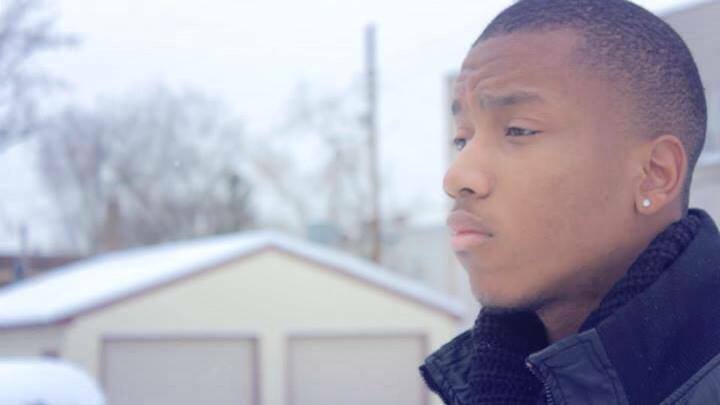 In the mix of competing, Donte performs all over the Twin Cities at a variety of universities and theaters including the Walker Art Center, Orchestra Hall, Pillsbury House Theatre, Penumbra Theater, University Of Minnesota , Augsburg, and St. Paul College. Collins has recently competed in the international spoken word festival “Brave New Voices” and is now concentrating on writing his first chapbook, Mice in the Basement of Heaven. NAOMI KO is a Minneapolis-based writer and actor. As an undergraduate student of art history and English literature at the University of Minnesota, Ko conducted research at the Munch Museum and the National Gallery in Oslo, Norway, sponsored by the University of Minnesota and the Lakselaget Foundation. 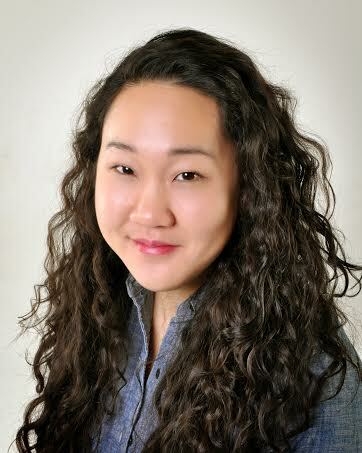 Since graduation, she has performed in numerous local theater productions and been mentored by the Fellowship of the Cranes, an affiliate of the Council of Asian & Pacific Islanders, which sponsors Asian American artist retreats with help from a State of Minnesota Legacy Grant. Ko’s acting credits include performances at Mixed Blood Theatre and Mu Performing Arts, as well as co-writing and co-starring in two productions, “Under My Skin” with Mu Performing Arts and “Story Spirits” with the New Age Salon and Bedlam Theatre. Naomi Ko’s onscreen debut is a principal role in “Dear White People,” the highly anticipated film directed by Justin Simien that premiered at the Sundance Film Festival this January. Naomi along with her cast was named as one of Sundance’s breakout hits from Indiewire. When not acting, Ko competes in Twin Cities and Chicago Story Slam competitions and writes for The Huffington Post. Visit her online at www.konaomi.com. 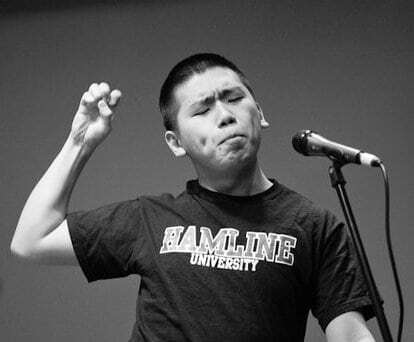 KEVIN YANG is a Hmong American spoken word artist from the Twin Cities. He has had the opportunity to represent Minnesota at the Brave New Voices Spoken Word Festival in 2011 and the Hamline University Poetry Slam at the College Unions Poetry Slam Invitational in 2012 and will be representing his team again in 2014. 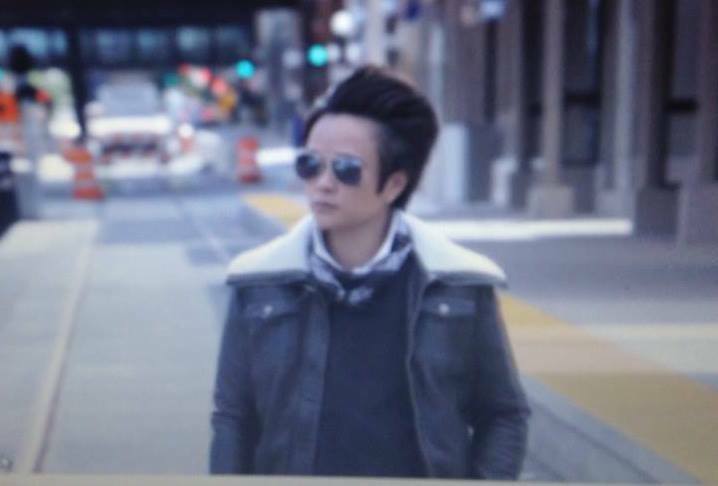 He is also a member of Speakers of the Sun, an APIA Spoken Word collective based out of the Twin Cities. Kevin enjoys writing about American pop culture and unraveling the intersection between being an American and Hmongess. The “CAN YOU HAND(LE) IT?” Lowertown Reading Jam will be presented on Wednesday, February 26, 2014, from 7:30 to 8:30 p.m. at the Black Dog Coffee and Wine Bar, 308 Prince Street in Saint Paul.